Instructions and a sample of a flipbook we made in class. 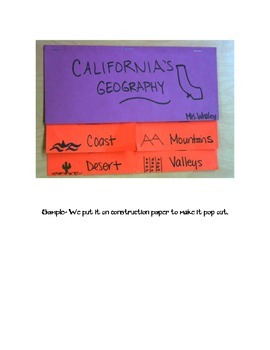 It covers the 4 regions of California geography. This is an instruction sheet with a checklist and teacher rubric. It includes a picture sample of the finished project.